Priyanka Chopra, Nick Jonas Sum Up 'Marital Bliss' In One Pic. Is It From Their Honeymoon? 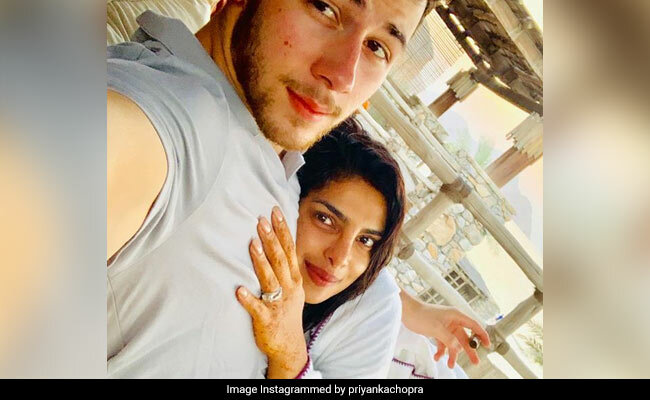 The Internet thinks Priyanka Chopra and Nick Jonas are the "cutest couple in the world"
Just when we thought Priyanka Chopra and Nick Jonas couldn't get any cuter, the actress shared a loved-up picture of herself along with her husband, which appears to be from the newlyweds' honeymoon. Priyanka hasn't disclosed the location in the picture but the newlyweds are reportedly in Oman. On Tuesday afternoon, Priyanka shared a picture on her Instagram profile, in which she can be seen curled up in Nick's arms and the smile on her face says it all. She captioned the picture in the most beautiful way and wrote: "Marital bliss they say." Just like us, Priyanka's Instafam was also smitten by the photograph and fans wrote comments like "so thrilled for both of you" and "such a precious picture." 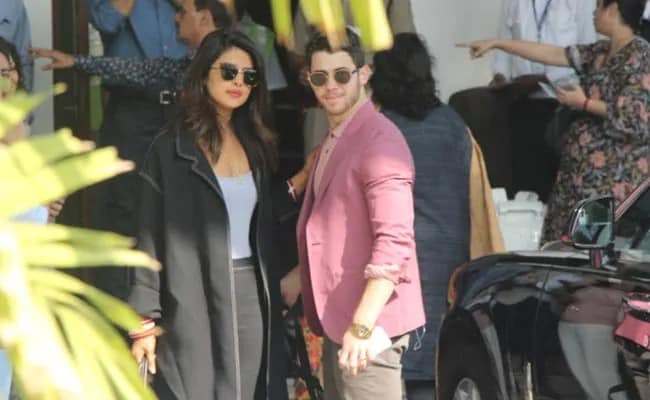 A section of the Internet thinks that Priyanka and Nick are arguably the "world's best couple" while others thought that they are giving the world major couple goals. "You guys are giving too much couple goals," wrote a fan. Thanks to Nick Jonas' latest Instagram post, we got a glimpse of the couple's movie date. On Sunday night, the singer shared a video of Priyanka Chopra's reactions as she was watching the 2003 film Elf for the first time. He captioned the video: "Her first time watching Elf." Nick Jonas, who got married to Priyanka Chopra last week, celebrated one week of their wedding and shared a special post on Monday on his Instagram profile. He wrote: "One week ago today." Priyanka and Nick flew to Udaipur for Isha Ambani and Anand Piramal's pre-wedding festivities over the weekend. Priyanka Chopra and Nick Jonas at the Mumbai airport. Priyanka Chopra and Nick Jonas exchanged wedding vows in a Christian ceremony in Umaid Bhawan Palace on December 1 and they also had a traditional Hindu wedding on December 2. Ralph Lauren was the official wedding couturier for their Christian wedding while Sabyasachi was in charge of Priyanka's outfit for the Hindu wedding. Nick Jonas and Priyanka Chopra got engaged in a traditional roka ceremony in Mumbai in August this year.